Professor of Education, Faculty of Arts & Social Sciences, UNSW Australia (2002-2017). Awarded the 1985 Institute for Educational Research Award for my doctoral thesis titled Reading ability and the resolution of anaphoric reference. Elected President of the Australian Literacy Association, 1993-95. Ministerial appointment to the Australian Language and Literacy Council, (1994-1996). Appointed to the Australian Council for Educational Research (ACER), (1999-2000). Award for “Outstanding Contribution“ to regional development, Australian Department of Transport and Regional Services (DOTARS), (2002). Awarded Order of Australia Medal (OAM) for “service to education as an academic and administrator, and to business through leadership roles within professional organisations”, 11th June 2012. Cairney, T.H. (1983). 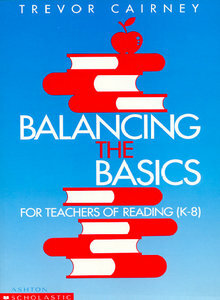 Balancing the basics: A handbook for teaching of reading K-8, Sydney: Ashton Scholastic. Cairney, T.H. (1990). Balancing the basics (2nd Edition) Sydney: Ashton Scholastic (author). (Sales of 25,000 in UK, USA, Canada, New Zealand and Australia). Cairney, T.H. (1990). Other Worlds: The endless possibilities of literature, Melbourne: Nelson. Cairney, T.H. (1991). Other Worlds: The endless possibilities of literature, 2nd edition, Portsmouth (NH): Heinemann (Modified US edition). Cairney, T.H. (1990). Teaching reading comprehension: Meaning makers at work, Milton Keynes (UK): Open University Press. Cairney, T.H. (1991). Teaching reading comprehension: Meaning makers at work (Spanish Edition). Cairney, T.H. & Munsie, L. (1992). Beyond Tokenism: Parents as Partners in Literacy, Melbourne: ARA. Cairney, T.H. & Munsie, L. (1995). Beyond Tokenism: Parents as Partners in Literacy, Portsmouth (NH): Heinemann (US edition). Cairney, T.H. (1995). Pathways to Literacy. London: Cassell (Continuum). Cairney, T.H. & Ruge, J. (1998). Community Literacy Practices and Schooling: Towards effective support for students, Volumes 1 & 2., Department of Education, Training and Youth Affairs: Canberra. Louden, W., Rohl, M., Barratt-Pugh, C., Brown, C., Cairney, T., Elderfield, J., House, H., Meiers, M., Rivalland, J. & Rowe, K. (2005). In teachers’ hands: Effective literacy teaching practices in the early years of schooling, Department of Education, Training and Youth Affairs: Canberra. Cairney , T.H. (2011). Teaching Reading Comprehension: Meaning Makers at Work, 5th Edition. (Enseñanza de la comprensión lectora), Spanish language version, Madrid: Ediciones Morata. Cairney, T.H. & Starling, D.I. (2014). 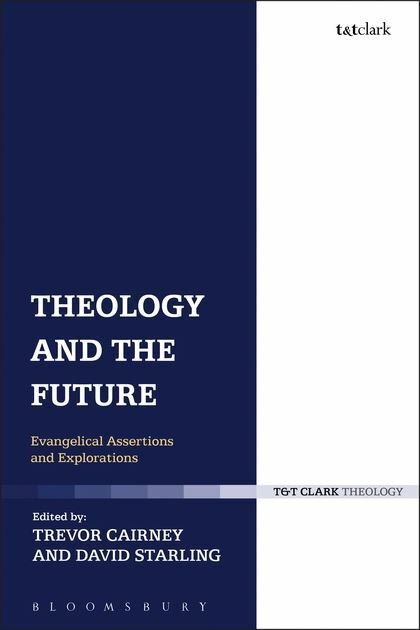 Theology and the Future, London: T&T Clark. Cairney, T.H. (In Press). Pedagogy and Education for Life. Eugene OR: Wipf & Stock. Cairney, T.H. (1982). The reading process: A research update, Reading Education, 7, 2. Cairney, T.H. (1985). Reading and Writing: Making connections, in D Burns, H French and F Moore (Eds), Literacy: Strategies and Perspectives, Adelaide: Australian Reading Association. Cairney, T.H. (1987). Supporting the independent learner: Negotiating change in the classroom, in J Hancock & B Comber (Eds), Independent Learners at School, Sydney: Methuen. Cairney, T.H. (1987). The social foundations of literacy, Australian Journal of Reading, 10, 2. Cairney, T.H. (1988) Reading comprehension: To teach or to test? That is the question. Reading-Canada-Lecture, Vol 6, No 1. Cairney, T.H. (1988). Using computer prompts as aids in the writing programme: A new tool for the development of quality writing. Information Transfer, Vol 8, No 3. Cairney, T.H. (1988). The influence of intertextuality upon the reading and writing of primary school children, Discourse Processing Forum, Vol 2, No 1. Cairney, T.H. & Langbien, S. (1989). Building communities of readers and writers, Reading Teacher, 42, 8. Mooney, M., Forrester, L., Cairney. T.H., Marshall, A., Beattie, G. (1991). Marking the landscape: Youth in search of identity. In Ideas, Facts and Futures: Discussions and Directions, Sydney: Australia Council. Cairney, T.H. (1992). Stirring the cauldron: Fostering the development of students’ intertextual histories, Language Arts, Vol. 69, No. 6. Cairney, T.H., Lowe, K., McKenzie, P. & Petrakis, D. (1994). Literacy & youth: An evaluation of the literacy practices of young people held in institutional care. In L. Wilkinson (Ed. ), National Conference on Juvenile Detention, Canberra: Australian Institute of Criminology, pp 177-192. Cairney, T.H. & Munsie, L. (1995). Parent participation in literacy learning. The Reading Teacher, Vol. 48, No. 5. Cairney, T.H. (1995). Developing Parent Partnerships in Secondary Literacy Learning. Journal of Adolescent and Adult Literacy. Vol. 38, No. 7, pp 520-526. Dinham, S., Cairney, T.H., Craigie, D. & Wilson, S. (1995). School climate and leadership: Research into three secondary schools. Journal of Educational Administration, 33, 4. Cairney, T.H. (1996). Developing partnerships with families in literacy learning. In S. Wolfendale & K. Topping (Eds), Family involvement in literacy: Effective partnerships in education, London: Cassell, pp 131-146. Cairney, T.H. & Ruge, J. (1996). Bridging home and school literacy: In search of more effective partnerships. The Forum of Education. 51, 1, pp 103-115. Cairney, T.H. (1996). Pathways to meaning making: Fostering intertextuality in the classroom. In J. Almasi & L. Gambrell (Eds). Lively discussions: Creating classroom cultures that foster discussion, interpretation and comprehension of text. Newark (DEL): International Reading Association, pp 170-180. Cairney, T.H. (1997). Acknowledging diversity in home literacy practices: Moving towards partnerships with parents. Early child Development and Care. Vols 127-128, pp 61-73. Cairney, T.H. (1997). Reconstructing teacher views on parent involvement in children’s literacy. In D. Taylor (Ed), Many families many literacies: Developing family literacy programs based on an international declaration of principles, Portsmouth (NH): Heinemann. Cairney, T.H., Buchanan, J., Sproats, E. & Lowe, K. (1998). Literacy in Transition. Australian Journal of Language and Literacy. Vol. 21, No. 2, pp 98-117. Cairney, T.H. (2000). Family literacy: Challenges for early education. In J.Hayden (Ed. ), Landscapes in Early Childhood Education. 298-315. Cairney, T.H. (2000). The construction of literacy and literacy learners. Language Arts. Vol. 77, No. 6, pp 496-505. Cairney, T.H. (2002). New Directions in Family Literacy: Building effective partnerships between home and school. In B. Spodek & Olivia Saracho (Eds), Contemporary Perspectives on Early Childhood Education, Greenwich (Conn.): Information Age Publishing, pp 99-126. Cairney, T.H. & Ashton, J. (2002). Three families, multiple discourses: Examining differences in the literacy practices of home and school. Linguistics and Education. Vol. 13, No. 3, pp 303-345. Cairney, T.H. (2003). The home-school connection in literacy and language development. In D. Green & R. Campbell (Eds), Literacies and Learners: Current perspectives, Sydney: Prentice Hall, pp 17-32. Cairney, T.H. (2003). Literacy in family life. In N.Hall, Larson & J. Marsh (Eds). Handbook of Early Childhood Literacy, London: SAGE Publications, pp 85-98. Louden, W., Rohl, M., Barratt-Pugh, C., Brown, C., Cairney, T., Elderfield, J., House, H., Meiers, M., Rivalland, J., Rowe, K. 2005, ‘In Teachers’ Hands: Effective Literacy Teaching Practices in the Early Years of Schooling’, Australian Journal of Language and Literacy, 28, 3, pp. 181-252. Cairney, T.H. (2007). The role of fathers: The alignment of biblical wisdom and secular research, Case, 12, pp 10-15. Cairney, T.H. (2008). Community literacy practices and education. In B. Street (Ed), Encyclopaedia of Language and Education, London: Kluwer Academic Publishers, 207-225. Cairney, T.H (2008). Truth and the Internet. Case, No. 15, pp 9-14. Cairney, T.H. (2009). Theorizing home literacy practices and mainstream schooling. In G. Li (Ed), Multicultural Families, Home Literacies, and Mainstream Schooling, New York: Information Age Publishing, pp 3-24. Cairney, T.H. (2011). The Power of Story: How Literature Can Teach, Enrich and Transform. International Journal of the Book, Vol. 8, Issue 2, pp 37-48. Cairney, T.H. (2011). ‘Regaining Our Voice in the Secular University’. St Mark’s Review, No. 218, Nov 2011: 3-23. Cairney, T.H. (2012). Pedagogy, Formation and the Kingdom of God. Case, No. 31, pp 3-8. M. Mooney, T. H. Cairney, G. Beattie, G. Beattie, A. Marshall (1990). Marking the landscape: youth in search of identity, (Vols 1-3) Final report to the Australia Council, 1990 (450 pages). Cairney, T.H. & Munsie, L. (1992). Talk to a Literacy Learner (TTALL). Final report to the Minister for Education and Youth Affairs, UWS Nepean Press: Sydney, September, 1992 (96 pages). Cairney, T.H., Hayward-Brown, H., Craigie, D., Dinham, S., Khamis, M. & Wilson, S. (1992). The school and community interface: A study of communication in comprehensive high schools. (Volumes 1, 2 & 3), Final report to the NSW Department of School Education of funded research, Sydney: UWS Nepean Press (460 pages). Cairney, T.H., Lowe, K., McKenzie, P. & Petrakis, D. (1993). Literacy and youth: Investigating literacy in correctional institutions, Final report to Department of Employment, Education and Training (186 pages). Note: Further information on my various research projects with national funding of over $3 million is available on request. Cairney, T.H. (2011). The Power & Possibilities of Story, Australian Literacy Educators’ Association (South Coast), Wollongong, 16th June. a) I have supervised over 50 students to completion at 3 universities degrees at the Doctoral and Masters Research level. b) I have a current adjunct appointment as Professor at the Australian Catholic University as a key mentor for research across the University. c) I have acted as an external examiner for 45 theses at the following 26 institutions: University of Auckland, Newcastle University, Australian Catholic University, University of New England, Flinders University, Griffith University, Moore Theological College (Sydney), University of South Australia, University of Melbourne, Latrobe University, Indiana (USA) University, Charles Darwin University, University of Queensland, Griffith University, Edith Cowan University, Latrobe University, Charles Sturt University, Wollongong University, Deakin University, The Sydney University (Education & Linguistics), Monash University, University of Technology, Macquarie University, University of Tasmania, University of New England, and the University of Canberra. d) I act annually as an ‘International Expert’ for the Australian Research Council (ARC) Discovery and ARC Linkage grants assessor. I have also filled this role as International reviewer for Social Sciences & Humanities Research Council of Canada grants. e) I have offered independent advice to a number of universities concerning postgraduate supervision, research culture and postgraduate community development. f) I am a member of the International Advisory Panels for three international research journals. Appointed by the Federal Minister for Employment, Education and Training to become one of only 3 academic members of the Australian Language and Literacy Council (a council of NBEET), (1994-1996). Appointed a member Australian Institute for Christian Tertiary Education, 1994-98. Appointed to the Business/Higher Education Roundtable, Education, Science and Technology Group, (1997-1999). Appointed to the Council of the Australian Council for Educational Research, (1999-2000). Consultant on text comprehension to the staff of the Commonwealth Office of Parliamentary Counsel and its application to the development and drafting of Commonwealth Legislation, Attorney General’s Department, Canberra, (1995-). Appointed to the Steering Committee of the OECD Program for International Literacy and Numeracy assessment project (PISA), (1998-). Moore Theological College External Advisory Committee, (1999-). Director, Centre for Apologetic Scholarship & Education (CASE), (2005-). Director, Morling Theological College Council, and Deputy Chair, (2001-). Director, NSW Business Chamber, (2006-). 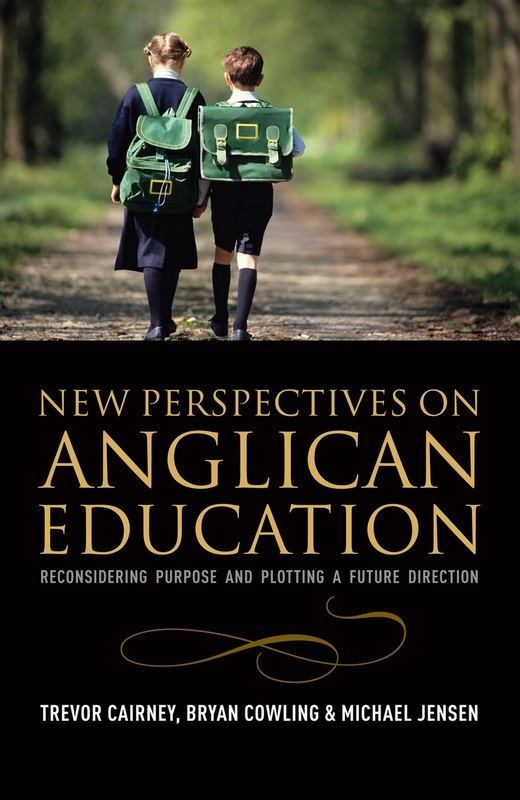 Member, Anglican Education Commission, (2008-16). American Educational Research Association, since 1989. Australian Association for Research in Education, since 1989. Australian College of Education, since 1990. Australian Society of Authors, since 1989.
International Reading Association, since 1981. National Council for Teachers of English (USA), since 1983. Australian Institute for Fundraising, since 2002. Association of Heads of Australian University Colleges and Halls Incorporated (AHAUCHI), since 2002 and Public Officer since 2004. Australian Institute of Company Directors, since 2007 and a graduate since 2009.